Matt Andersen is a big man with a big voice and a big talent. I mean BIG. The New Brunswick-bred blues artist has the kind of vocal force — force is the only applicable noun — reserved for opera and selected gospel singers (I’m thinking of the powerful contralto Mahalia Jackson as an example). Although a gifted songwriter and guitarist, it’s his soulfully expressive voice that sets Andersen apart from peers and defines his performance art. If memory serves I first saw Andersen at the Hillside festival at Guelph Lake Conservation Area. 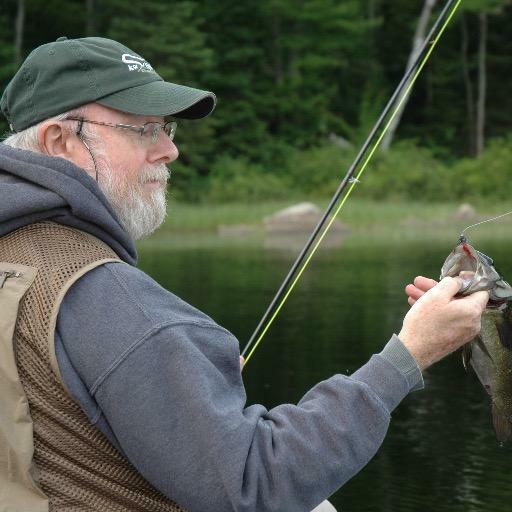 He figuratively blew the top off the Lakeside Tent. His electrifying set triggered an instantaneous and sustained standing ovation, making it a highlight performance in the quarter century I covered the annual summer festival as an arts reporter for the Waterloo Region Record. I’m pleased to report that my review caught the attention of Mark Logan, longtime Kitchener record retailer who founded Busted Flat Records roots label in 2002. Occasionally over the 30 years I wrote professionally about arts and entertainment, I was able to help an artist on a career path beyond routine journalism, whether it involved writing a reference letter to a funding agency (as I did for Lynn Miles), writing a press kit (as I did for Gwen Swick), introducing a regional artist to a national audience (as I did for Dave Gunning) or writing an encouraging review when an artist was wallowing at a critical low-point (as I did for David Adams Richards). Doing these kinds of things was incredibly gratifying. So it was with immense pleasure that I attended an intimate Andersen concert at the Boathouse in Kitchener’s Victoria Park. Chatting between sets, I mentioned how much I loved his cover of Bruce Springsteen’s I’m on Fire (check out YouTube). After taking the stage he performed the cover while sending it out ’to my new friend, Rob.’ It was neat for a hardened journalist to hear his name spoken from the lips of a great artist. Andersen wears his rural, blue-collar, family driven background on his rolled-up flannel shirtsleeves. Music, whether in church, in the parlour or on the porch, provided reprieve from the hard work of logging, mining, farming and fishing in the Maritimes. His heritage is the foundation of his creative aesthetic. Applying the work ethic imprinted in his bones, Andersen hit the road, establishing his reputation one performance at a time. He made his recording debut in 2002 with the well-received One Size Never Fits, followed in 2004 with Solo at Session and Live at Liberty House in 2005. After playing the prestigious 2004 East Coast Music Awards, Andersen continued building an audience base by appearing with Randy Bachman, Bo Diddley, Little Feat, America, Loverboy and April Wine, among others. He signed with Busted Flat and released a series of fine albums including Second Time Around (2007), Something in Between (2008), Live at the Phoenix Theatre and Spirit of Christmas (2011). In 2009 and 2011 he released Piggyback and Push Record: The Banff Sessions, duo sets with harmonica king Mike Stevens. Andersen became a regular guest on Stuart McLean’s CBC Radio show The Vinyl Café from 2009 through 2011. He completed his fourth tour of the UK, where The Times acknowledged him as ‘Canada’s greatest guitarist.’ In 2010 he became the first Canadian to win Memphis’ famed International Blues Challenge, which led to festival dates in France, Italy and the U.S., where he toured with Old Crow Medicine Show. I was fortunate enough to see Andersen on McLean’s annual Vinyl Café Christmas Show at Centre in the Square. His stirring a cappella rendition of O Holy Night — which went viral on YouTube and can be heard on Spirit of Christmas — must be heard to be appreciated. Hearing him perform the carol live sent a current of electrifying tingles up my spine and reduced me to tears. It was glorious. 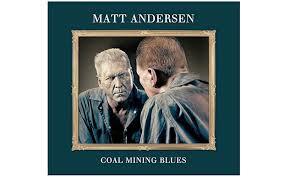 If you want proof of the shortcomings of artistic awards, look no further than Andersen’s superb Coal Mining Blues. He’s no stranger to awards. In 2011 he won Maple Blues Awards in both Entertainer of the Year and Acoustic Act of the Year categories. He won three Maple Blues awards the following year. He’s garnered multiple East Coast Music Awards. But — and it’s a huge but — Coal Mining Blues deserved to be a finalist in the Canadian Juno Awards, not to mention the American Grammy Awards. It’s that good! Produced by Colin Linden (who co-wrote and plays on several tracks) and recorded at the late Levon Helm’s home studio in Woodstock, New York, the album features legendary Band keyboardist Garth Hudson and Olabelle singer Amy Helm. The Busted Flat album mines a rich musical vein in homage to the hard lives of working people including the self-explanatory Work Hard for the Luxury and the moving title track, which resonates in mining communities from Cape Breton to Sheffield to West Virginia. In 2014 Andersen released his True North Records debut and Juno-nominated Weightless, produced by Grammy winner Steve Berlin (Los Lobos, Great Big Sea, Tragically Hip).